Do you know what a Mast Cell Tumour is? Home » Do you know what a Mast Cell Tumour is? Do you know what a Mast Cell Tumour is? 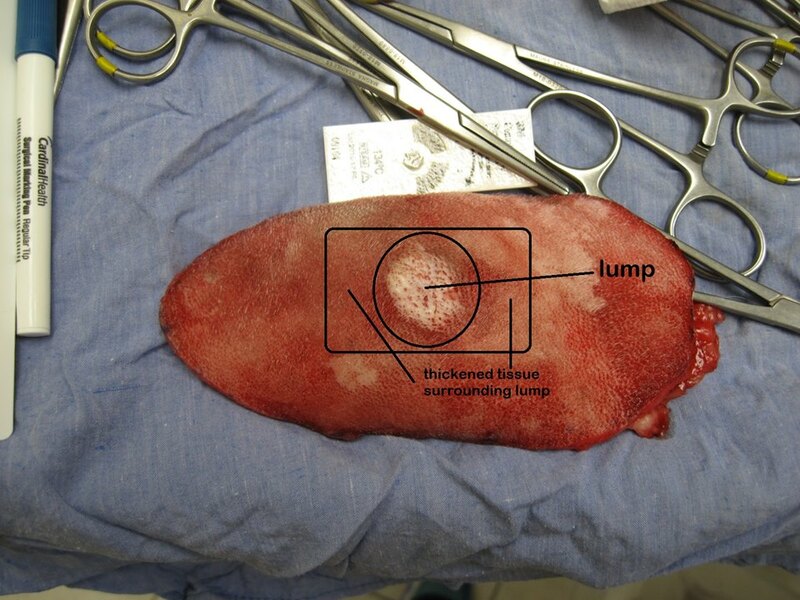 This is a photo of a lump that was removed from a dog’s shoulder region. 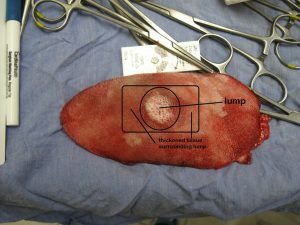 Prior to its removal a fine needle biopsy was performed and the lump was found to be a Mast Cell Tumour which is a cancerous tumour. This particular tumour sends out tendrils, like an octopus’s tentacles so wide surgical margins must be obtained to ensure all the tumour is removed. It was great news for this dog – we got it all!